Malignant tumours of the parotid gland show differing behaviour depending on their histological type. 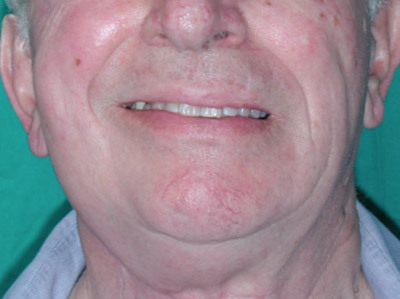 Some grow rapidly and attack neighbouring structures, others have high affinity for the facial nerve, while others tend to metastasise via the blood or lymphatics. 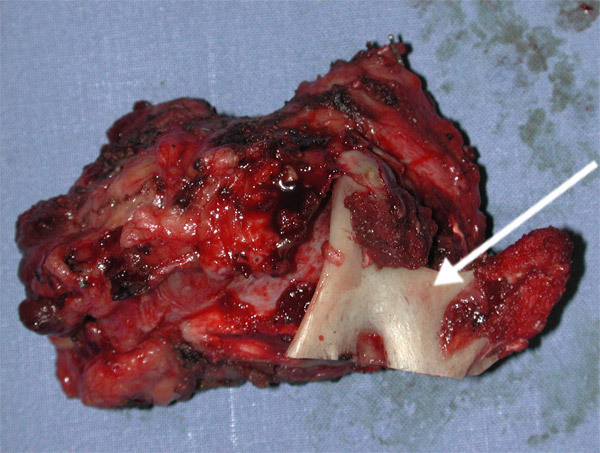 Surgery is often the primary treatment of choice, commonly in association with radiation therapy and sometimes chemotherapy. 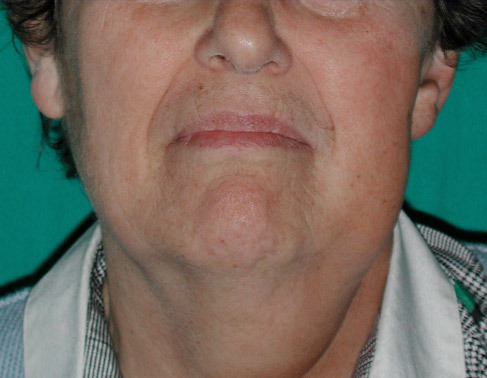 Surgery of the parotid is more aggressive in these cases as compared to that typically performed for a pleomorphic adenoma. 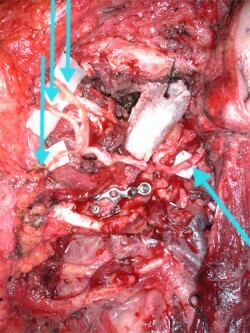 The gland is removed entirely, if possible, while maintaining the integrity of the facial nerve. 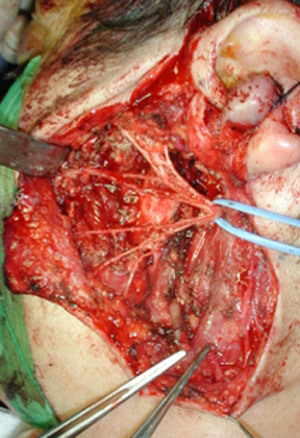 Sometimes this is directly involved in the tumour and must be sacrificed; in such cases, it is vital to rebuild the facial nerve immediately. 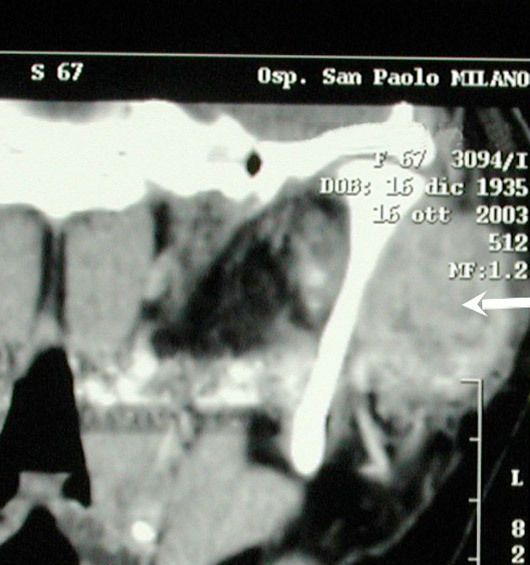 When the jaw or another tumour-adjacent structure is sacrificed, it is also the correct procedure to address its reconstruction simultaneously so as to maintain a high quality of life after the surgery. 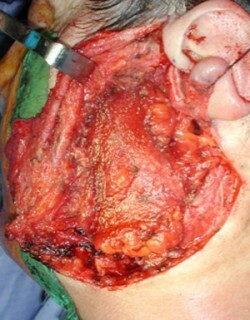 Metastasis of a squamous cell carcinoma of the parotid. The facial nerve (subtended by the blue ribbon) and its branches held at the end of tumour removal. 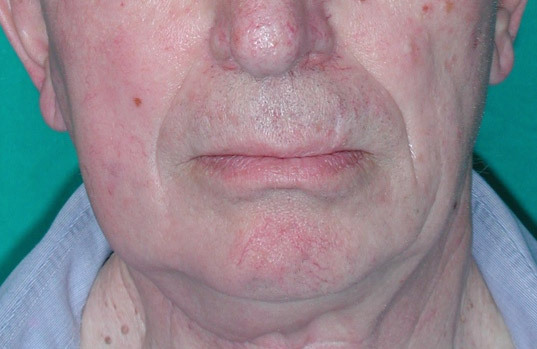 The parotid region was reconstructed with a microvascular flap to avoid an unsightly depression after surgery. 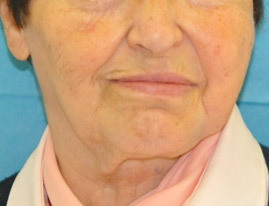 Morphology of the face correctly restored at 6 months after surgery. 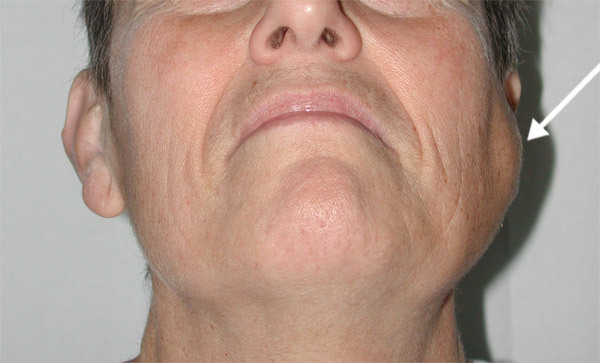 Good functionality of the facial nerve after surgery. Malignant cancer of the parotid gland (arrow). 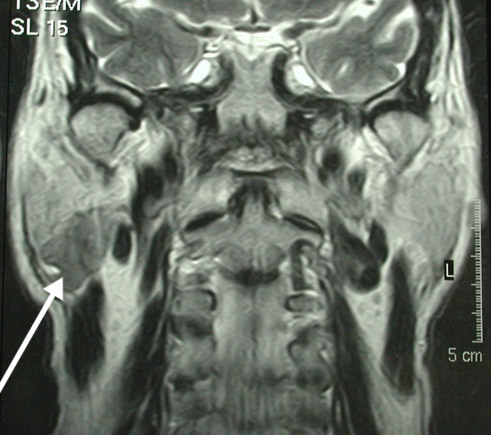 MRI demonstrates the wide extent of the lesion (arrow). 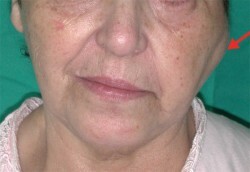 Morphology of the face at 1 year after surgery. Squamous cell carcinoma of the parotid gland (arrow), incorporating part of the jaw and the facial nerve. 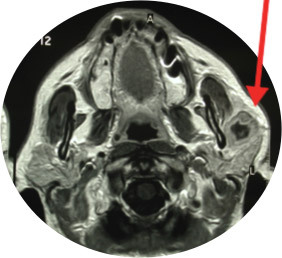 Swelling of the left parotid region near the tumour (arrow). 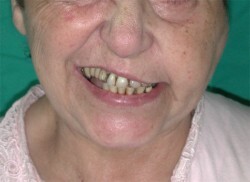 Paresis (paralysis only hinted at) by infiltration of the facial nerve by the tumour. The need to radically remove the lesion resulted in the removal en bloc of the parotid gland, the mandibular branch (arrow), and facial nerve with its main branches. 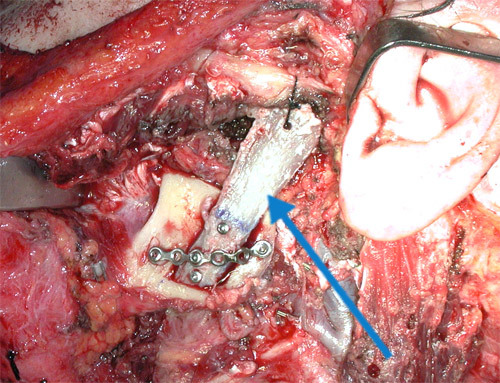 The mandibular branch rebuilt with a rib (arrow). 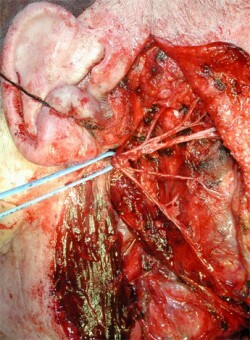 The facial nerve and its branches reconstructed with the thoracodorsal nerve and its branches (arrows). 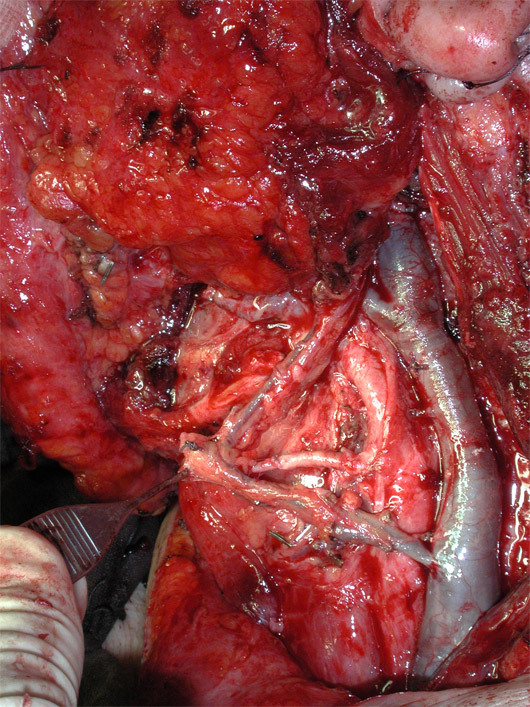 A microvascular flap from the latissimus dorsi avoided a postoperative hollowing in the operated region. 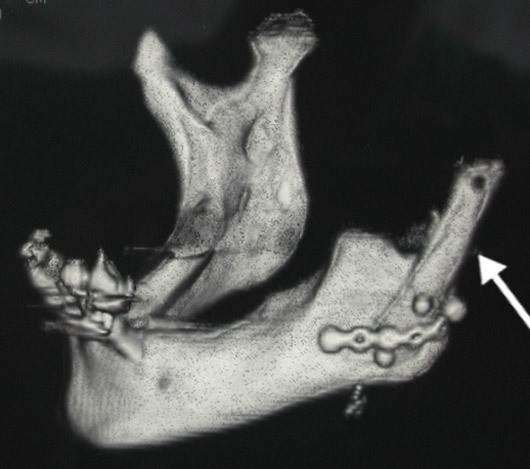 CT scan of the jaw reconstructed with a rib (arrow). 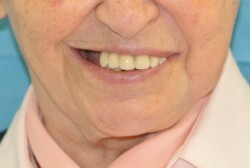 Symmetry of the face at rest 5 years after surgery. 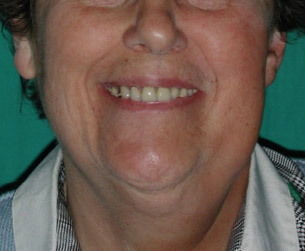 Symmetrical smiling 5 years after surgery.